Historic Old North Knoxville | The mission of Old North Knoxville, Inc. is to preserve, promote and protect the Old North Knoxville neighborhood. This neighborhood, once rolling farms and estates, became a “streetcar suburb” of Knoxville in 1889, called North Knoxville. It boasted modern conveniences that rivaled Knoxville’s amenities: water lines, newly paved streets, a fire station and city hall, and even a school. Instead of driveways and garages, most homes in the neighborhood had wide sidewalks, built so residents could walk to the streetcar and commute to jobs and markets downtown. North Knoxville became part of the city of Knoxville in 1897. The neighborhood’s houses exemplify the architecture of the late 1800s to the early 1920s. Walking down a shaded street is a walk through time, and the economies of the era in which the houses were built. Victorian-gilded porches sit beside homes with grand Neoclassical columns. Queen Anne-style homes neighbor Craftsman, Eastlake, Bungalow, Shotgun and Folk-style architectures. The interiors of many of the homes have been meticulously restored to preserve the bones of the homes: original mantles atop coal-burning fireplaces, wide-plank floors and many other features highlight bygone eras. Some homes, damaged by fire or neglect, have been rescued from demolition and mix traditional features with modern conveniences. Some newer homes have been added that fit the neighborhood’s historic character. Many residents are actively involved in preserving the city’s historic heritage. Throughout the year neighbors can be found walking, jogging, gardening, pushing strollers, or visiting with friends. Today the neighborhood is defined by the triangle formed by Central Street, Broadway, and Woodland Avenue, as well as the area east of Broadway bounded by Cecil Avenue, Sixth Avenue, Glenwood Avenue and Broadway. Many of the houses in Old North Knoxville are protected by an H-1 Historic Overlay, ensuring these beautiful and unique homes are preserved for many future generations to enjoy. 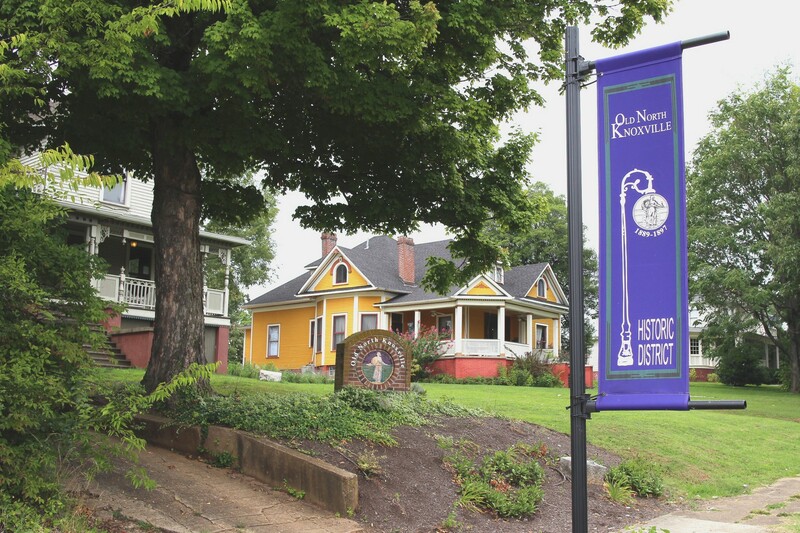 In 1978 neighbors formed Old North Knoxville, Inc. to work towards providing a safe, clean, and productive place to live, as well as to promote the preservation of the neighborhood. Old North Knoxville is designated as a National Historic District and much of the neighborhood is protected by H-1 zoning. Neighborhood activities include an annual Victorian Holiday Home Tour, monthly potluck dinners, greenway and park clean-up days, street and alley clean-up days, a neighborhood watch program, a neighborhood orchard and garden, and an annual ice cream social.